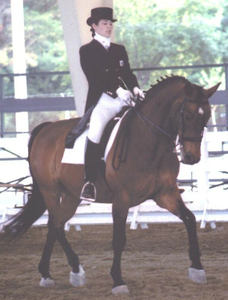 Anne Barbarick is a USDF Bronze and Silver medalist with several scores already towards her gold medal. As a teenager, Anne was on the Region 8 NAYRC team in both 1999 and 2000. 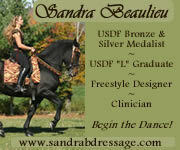 She enjoys working with all types of horses and people and is available for training, lessons, and clinics. Viewed 8604 times since 1/05/10.